In accepting a plea of nolo contendere or no contest, the court considers the defendant essentially guilty. If for any reason the defendant refuses to enter a plea, the court will enter a not guilty plea on the defendant’s behalf, and the defendant will stand trial on the charges so that a fair and impartial verdict is handed down. Certainly a plea of no contest engenders all of the ramifications of a guilty charge: the defendant accepts the punishment the court metes out just as if a guilty plea had been entered. A defendant can only enter a plea of nolo contendere or no contest with the permission of the court. In some states this plea is not acceptable at all; in others there will be a more complex procedure in its acceptance. The judge will speak to the defendant directly to ensure that he or she is entering the plea voluntarily, understands the meaning of the term and that this plea is essentially the same as a guilty plea, as far as punishment is concerned. 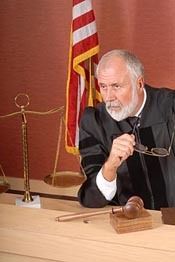 The judge determines that the defendant understands the charges and possible penalties – minimum and maximum. Those penalties could include jail time, financial restitution, and/or parole. If the defendant does not have an attorney, the judge establishes that the defendant understands that a lawyer could be appointed free of charge by the courts to help explain and enter a plea. The judge would explain that a trial is possible if the defendant would rather plead not guilty, and at such a trial the defendant would be able to face his or her accusers. With a plea of nolo contendere, there is no trial and sentencing is often made immediately.